As I began to tally the triple crown points, it occurred to me that this will be the first year Turbo Bocce is hosting more than three events, and thus some clarification of exactly what the triple crown is, has become necessary. 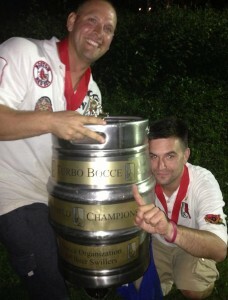 From this point on, the triple crown events will consist of our mid-season one-on-one tournament, the Turbo Bocce playoffs, and the Italian fest bocce tournament. That’s a one-on-one tournament on grass, a two-on-two tournament on grass, and a four-on-four tournament on grass. It seems like a nice, well rounded selection of events to determine a triple crown winner. To win the triple crown you have to win all three events. Nobody did it last year, and nobody did it this year ether . . . but somebody came very close. To determine just how well everybody did, we award 3 points for finishing in first in one of these events, 2 points for second, and 1 point for third, then tally the points. Last year Robb Jones finished first in the triple crown race, and thus you’d have to say he had the best year of any bocce player. He generated 5 points. The first leg of our 2014 triple crown race was a one-on-one bocce tournament to benefit St. Jude’s Childrens Hospital, played on Saturday, July 26th. Thirty-two contestants entered and were put into a blind draw, double elimination bracket. 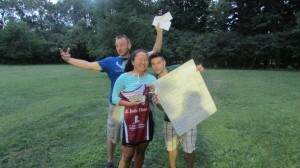 Monica Angelosanto emerged victorious, Phil Martino finished in second, and Andy Ingalls finished in third. Here is how the triple crown points are awarded. 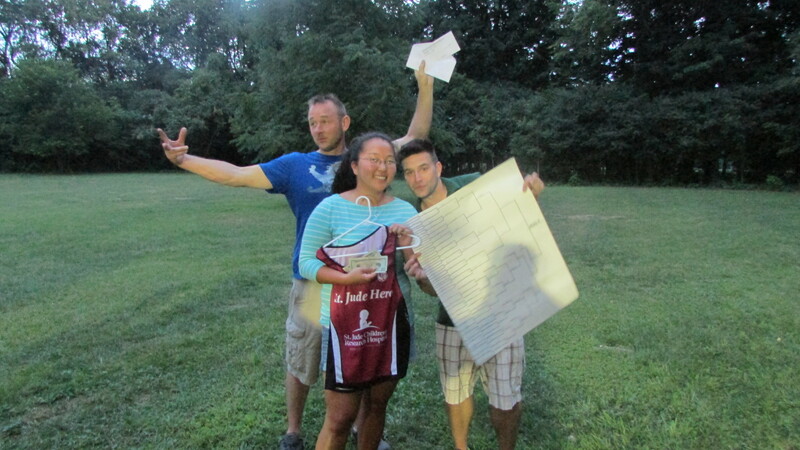 The second leg of our 2014 triple crown race was the Turbo Bocce playoffs. 58 two player teams competed in this massive tournament that spanned three weeks. Black Jesus finished first, Los Moppines finished second, and Whipple & John finshed thrd. Here is how the triple crown points are awarded. 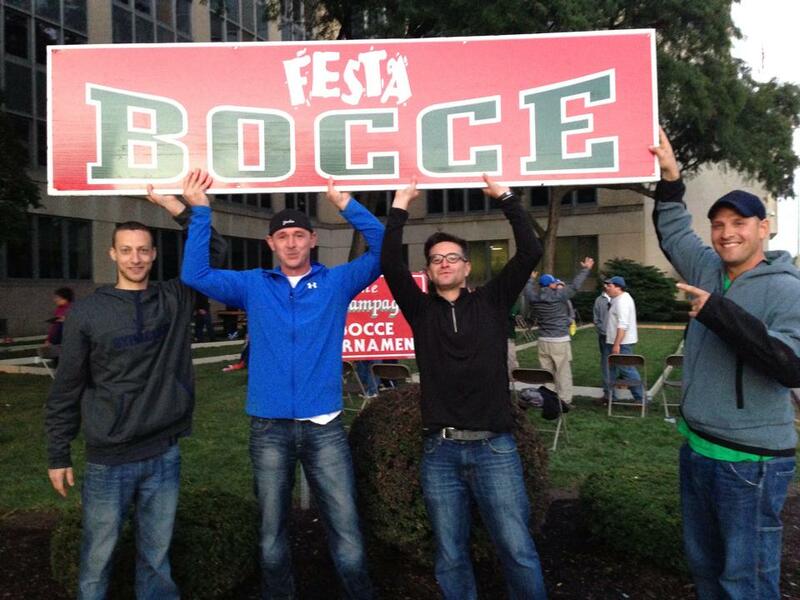 The final leg of our 2014 triple crown race was the Italian Fest bocce Tournament. 27 four player teams competed in this all-day tournament that went from 9am to 8pm. Phil Martino, George Christou, Andy Ingalls, and Anson Zeppetello finished first. No Turbo Bocce team finished in second or third place. Here is how the triple crown points are awarded. It really is an impressive achievement to generate even a single point on this exclusive list. Last year nobody had more than 5 points. Winning the triple crown gets you 9 points. That’s why it must be noted that Phil Martino’s 8 point season is one that looks like it will go down in the record books for a very long time. He was the “captain” of Black Jesus who won the Turbo Bocce regular season title and the playoffs. He was a member of the bocce team that won its second consecutive Italian Fest tournament, and he finished second to Monica Angelosanto in the one-on-one tournament. That’s the kind of season that should inspire everybody to raise the level of their game and shoot for greatness themselves. Congratulations Phil Martino, on one hell of a year!